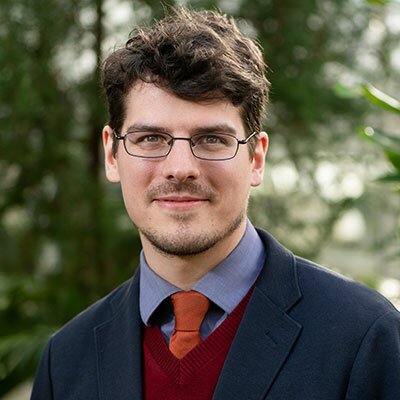 Micah Walter recently joined the Smith College Libraries as the new Collection Services/Circulation Associate in the Josten Performing Arts Library. As a circulation associate, Micah provides support for patrons, communicates with faculty about course reserves, and ensures that materials are available for students. He also helps manage the library’s collections (including the handling of new acquisitions), prepares scores and recordings for cataloging, and assists in supervising and training student workers. Everyone in the Smith community is welcome to attend the Spatial Analysis Lab's spring interactive workshop "Mapping the Social Landscape Using Social Explorer". Participants will use Social Explorer, a web-based data visualization tool, to investigate the complexity of census data through spatial patterns. Come with a question or idea if you like. The workshop will be held on Tuesday, March 26 from 4-5 p.m. in the Spatial Analysis Lab, Sabin-Reed 104. 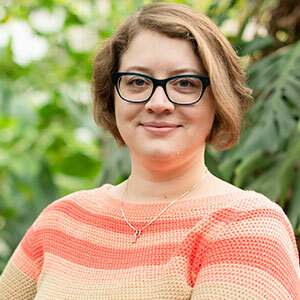 Jessica Blasko has recently joined the Smith College Libraries as the Library Communications Specialist. It is a new position that will ensure strong communication with the Smith community about Libraries news, events, and major changes. 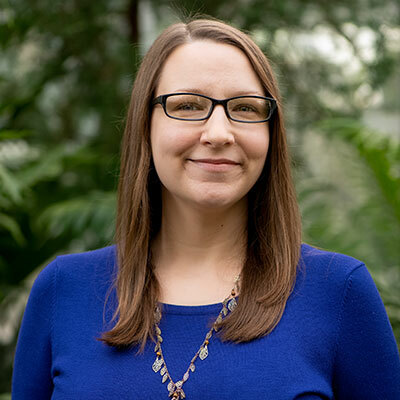 Jessica conceptualizes and develops media and materials that promote the Libraries’ services, and collections - as well as student, faculty, and staff academic and creative work stewarded by the libraries. This includes oversight of the library's website, social media accounts, print marketing, and more. She also supports library efforts in creating an inclusive, collaborative library environment dedicated to user service and open access. 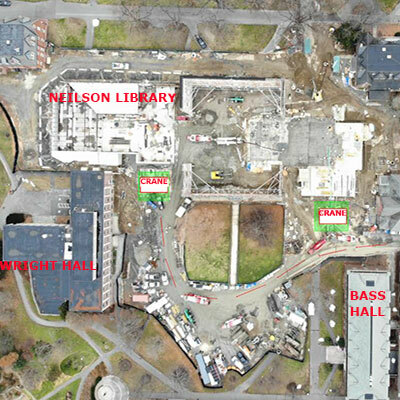 On Thursday and Friday, March 7-8, the contractor will be bringing in two construction cranes via Green Street and the Dickinson Parking Lot site entrance. The larger of the two cranes will be in sections on flatbed trucks and will be assembled on site by the smaller of the two cranes in preparation for installing steel columns and beams beginning on Monday of next week. 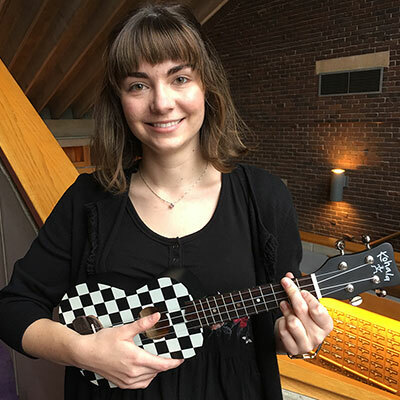 Want to try a ukulele? You can! Josten Performing Arts Library circulates a dozen ukuleles, ten sopranos and two tenor ukuleles (one with a pickup). The ukuleles circulate in a soft case, for four weeks, renewable. There are also ukulele tuners that are available for loan separately. To borrow, stop by the Josten Library, or call ahead to make sure there is a ukulele available. 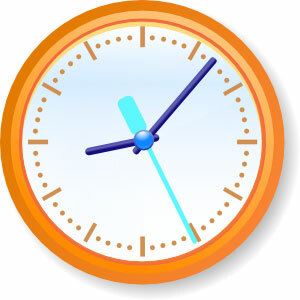 Libraries hours are reduced during spring break Friday, March 8 through Sunday, March 17. All library locations are closed Sunday, March 10. Hillyer Art Library Fat Tuesday Special! 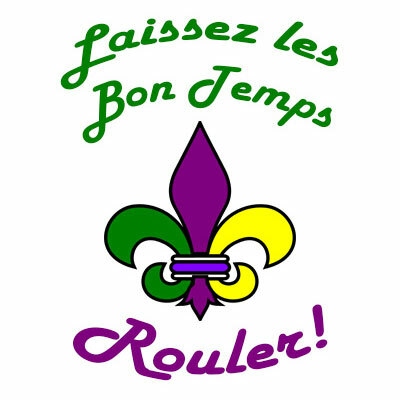 Free Mardi Gras beads will be given to everyone who borrows art books at the Hillyer Art Library on Tuesday, March 5!! We are excited to have Abby Baines as the libraries' new Head of Public Services. Her position is an entirely new one within the Smith College Libraries, and will focus on managing circulation, reserves, stacks management, interlibrary loan, and coordinating in-person and virtual reference. She is responsible for service quality, assessment, communication and engagement, and innovation, including the creative use of technology in support of public service operations. 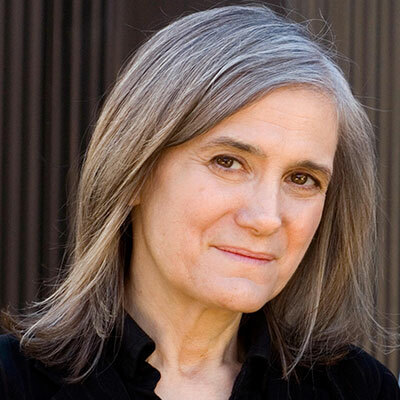 Amy Goodman, host of the independent global news program Democracy Now!, will speak about activism and democracy at Smith College on Thursday, March 21. The free talk is in honor of activist Frances Crowe’s 100th birthday and will be held in Smith College’s John M. Greene Hall starting at 7 p.m., with doors opening at 6:30 p.m. The Sophia Smith Collection of Women’s History is sponsoring the talk; an archive of Frances Crowe’s papers is kept in the Sophia Smith Collection of Women’s History. Are you looking for great places to study? Use the SmithScape app and you can search all study areas on campus, with options to filter by noise level, natural light, technology, group spaces, reservability, and more.